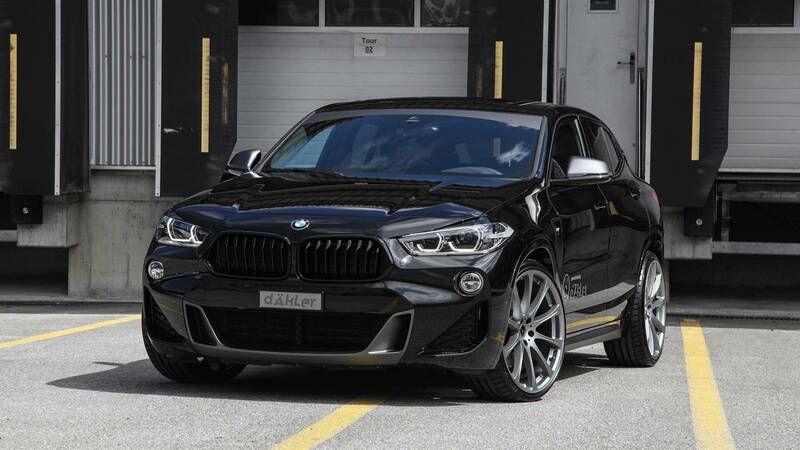 Car tuning shop Dahler has unveiled a new package of options for the BMW X2 SUV with the F39 body type. The deal includes purely visual changes along with a neat performance boost. The team is still polishing the body kit, but original 20” and 21” wheel sets are already available for ordering. There is also a new suspension kit which comes with sport-grade shock absorbers and springs, improving vehicle stability during sharp turns and strong cross-winds. Finally, there is a new exhaust system with selectable pipe design. For the BMW X2 118i series, Dahler offers an engine performance boost from 136 to 158 hp (i.e., from 101 to 118 kW). The stronger 120i series gets a boost from 192 to 231 hp (143 to 172 kW). Diesel-powered 18d and 20d also get upgraded to 174 and 220 hp (130 and 164 kW), respectively. The company assures that the modifications do not adversely affect the environment in any way. Dahler provides no acceleration or top speed data on any of the vehicles.